It's that time of year again, when the freeway on and off ramps are bordered by vivid red mush. 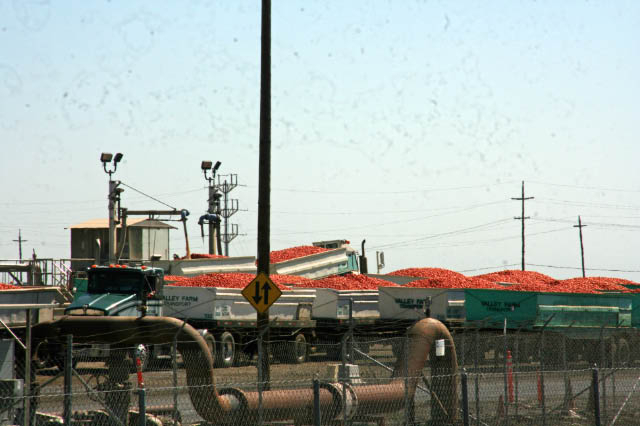 The mush consists of flattened tomatoes that have rolled off the trucks as they enter and exit the main roads. 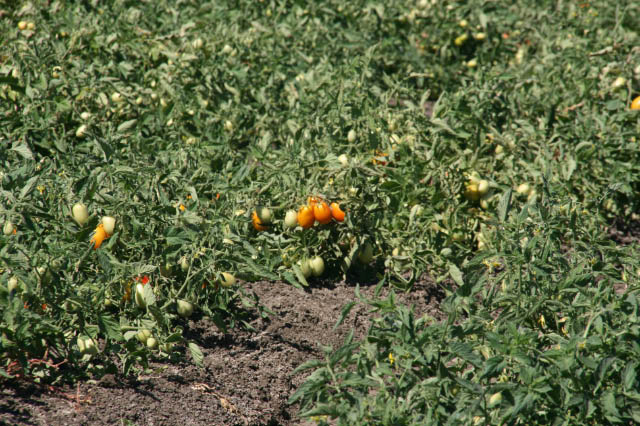 Tomatoes are Solano County's number one crop. Earlier in the month my husband Keith and I decided to follow some tomato trucks near Pedrick Rd to see where they were going. 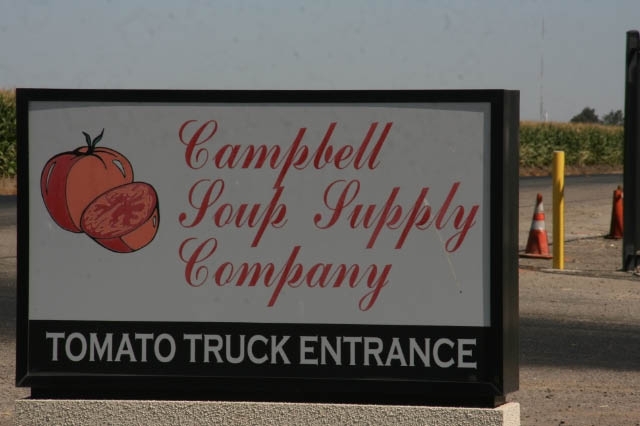 We trailed them to the Campbell processing plant. It was impressive to see truck after truck pull in, wait in lines, and then upend their cargo into waiting containers. On the home front, the tomatoes had a pretty slow start with our cooler than average first half of summer. Mine didn't particularly seem to appreciate the week of 100 degree temperatures that followed. Now however, they seem to be doing better and I have a lot more ripening fruit. Each year I like to try a few new varieties along with my tried and true. This year one of my newbies seems to be doing best of all. I found it at the San Francisco Flower and Garden Show. I hadn't heard a thing about it and picked it on its name alone. It's called ‘Solano Gold’. It's gold with green streaks until it is fully ripe when it turns completely golden. It's tasty and on the smaller size. It looks great mixed in with other tomatoes of different colors in a salad.